We ended up with LIMITS of nice Bluefin Tuna this morning! 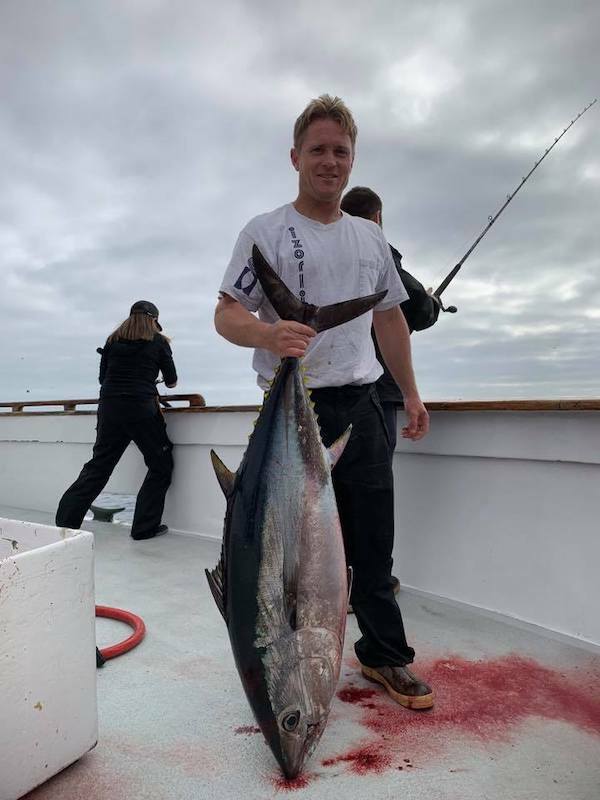 Captain Gavin Harbour checked in this morning at 9:51 AM with an update from the Pacific Queen out of Fisherman's Landing in San Diego, CA. We had very good fishing today. We found one school and they stuck with us. It was a one-stop shop. We ended up with limits for our group. 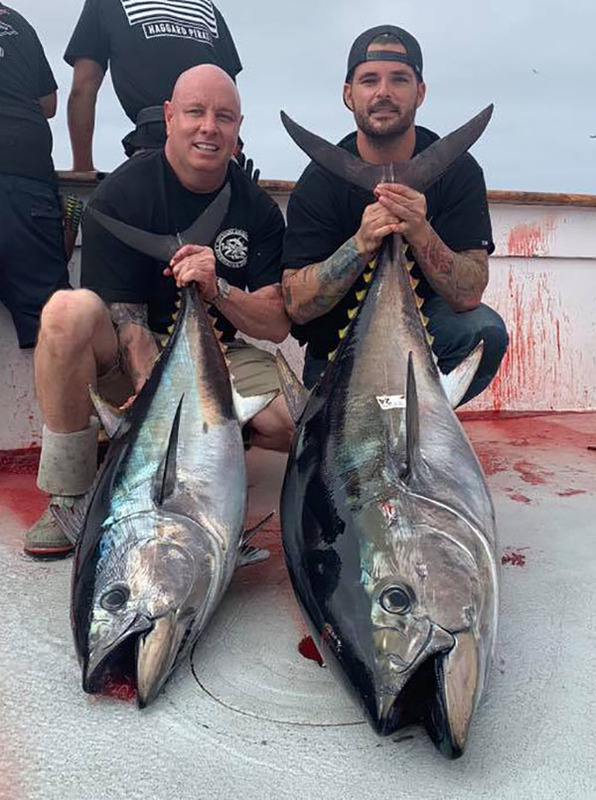 Half of the Bluefin Tuna were in the 25 pound class. 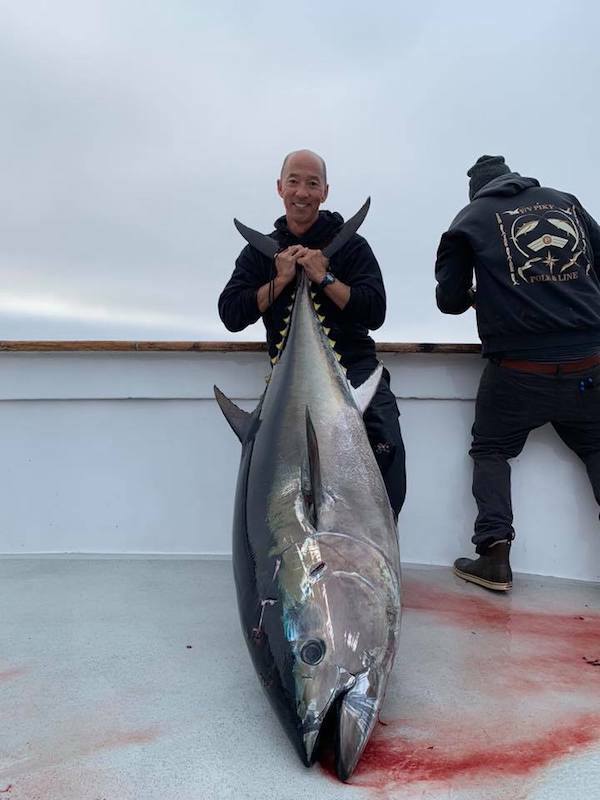 The other half of the Bluefin Tuna were in the 50 to 70 pound class. We have been seeing excellent Bluefin Tuna fishing. Trips are filling up fast so BOOK ONLINE to guarantee your spot. Today's photo is from a few days ago!